As telescopes grow in size with correspondingly more demanding performance specifications, the task of providing an enclosure becomes more challenging. 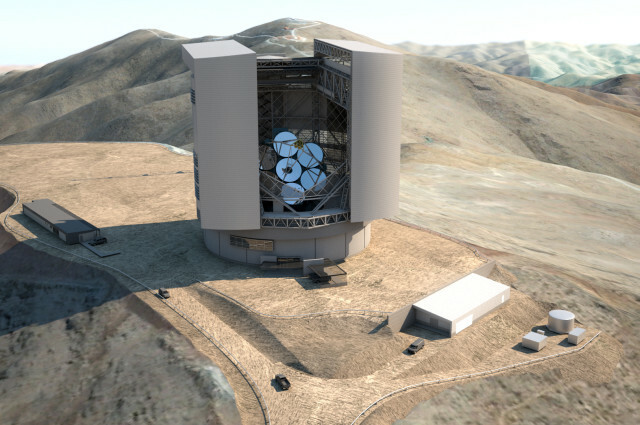 The Giant Magellan Telescope Enclosure and Support Facilities concept design is the first study of the next generation, extremely large telescopes enclosures. Based on the heritage of the successful Magellan Observatories, The GMT is located at Las Campánas Peak within the Las Campánas Observatory, Chile. The proposed carousel enclosure design was selected based on its efficient use of structural materials, standard and universal construction techniques and ease of implementing shutter and ventilation door concepts. This design also provides the ability to accommodate an overhead bridge crane without complicating the structural design. Adjacent to the enclosure is the support facility which houses the project administration offices, labs and primary mirror coating chamber. Both structures are linked via a utility tunnel and exhaust system. 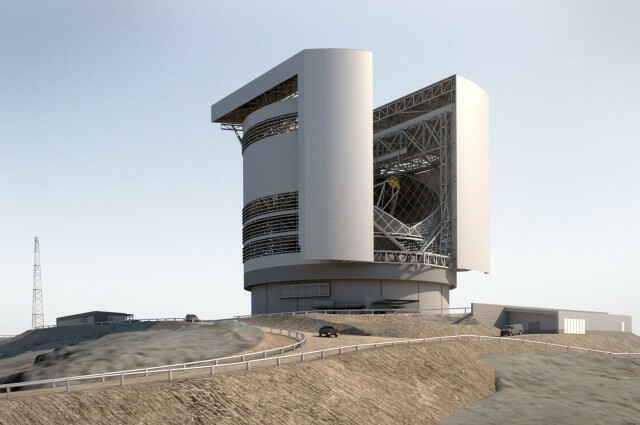 The GMT Enclosure and Support facility concept continues to develop as the project evolves into one of the world’s next generation observatories.